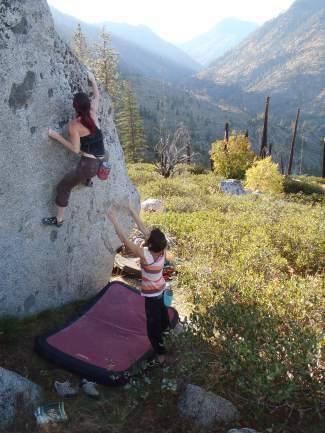 The Lake Tahoe region's numerous boulders will be highlighted at a weekend festival in Meyers. With rock climbing spots like the Grinch, Pie Shop and the Hemorrhoid Boulder, South Lake Tahoe’s bouldering scene isn’t short on color. The character of the South Shore’s granite climbing problems will be on display during a fifth annual bouldering competition this weekend. 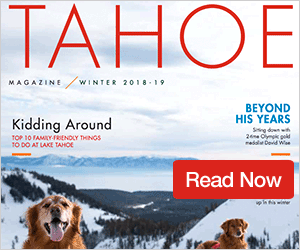 The Lake Tahoe Bouldering Competition takes place from 8 a.m. to 3 p.m. Saturday in and around Meyers and is followed by a climbing festival at Crossfit 6250’. Bouldering is a discipline that features athletes tackling mostly short, often difficult, typically low-to-the-ground climbing routes without ropes. Although it may seem easier than some of the more involved climbing methods, bouldering actually focuses on the most difficult moves the sport requires. “It’s a different kind of strength, that snappy, poppy kind of strength,” said event organizer Jen Bloch, of the skills required to be successful at bouldering. More than 100 climbers are expected to participate this weekend. Dozens of routes will be included in the competition and will range from relatively easy to extremely difficult. Categories are available for all skill levels of climbers. 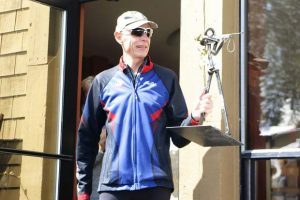 Participants will be judged on their five hardest climbs of the day, and more than $1500 in cash prizes will be awarded at the event, which is expected to feature a high level of climbing. Climbers will come from around the Lake Tahoe region and from as far away as Arizona and Colorado to compete. The best place for spectators to watch is at the dyno competition, which will take place at 5 p.m. Saturday as part of the climbing festival. Dynos feature people leaping through the air in search of their next hand hold. 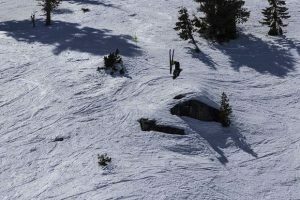 The climbing area known as Pie Shop, near the intersection of U.S. Highway 50 and Sawmill Road, and boulders off South Upper Truckee Road also offer options for curious spectators, as well as those who just want to climb for fun. It’s free to attend the festival and climb. A $40 entry fee includes a tank top, raffle ticket, dyno comp, goody bag and entry for cash prizes. With plenty of resting between attempts, bouldering also makes for a social activity, according to Bloch. “We want people to just go out and have a good time,” she said. The climbing festival takes place from 3-7 p.m. behind Crossfit 6,250’, located at 3008 U.S. Highway 50. The celebration of climbing will feature a DJ, raffles, food from Verde Mexican Rotisserie and a kids zone. An after-party will also be held at The Divided Sky in Meyers. Half of all the raffle money collected Saturday will be donated to Mallory Pickrell, a local climber who was recently injured while climbing during her honeymoon at Way Lake. More information on this weekend’s festivities is available at http://www.tahoebouldering.com.